Facebook messenger Tips & Tricks in Hindi. Facebook Messenger Tricks in Hindi. 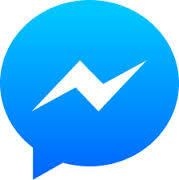 Kya aap facebook messenger ke kuchh khash tips tricks ke baare me janana chahate hai. Iss post me facebook messangewr ke tricks ke bare me jankari diya jayega. Facebook sabse jyada popular social networking site hai. iska messanger app ne facebook ke use ko kafi aasan bana diya hai. iske sath hi sath isame bahut sari kaam ki top features hai. jiske bare niche bataya gya hai. * Facebook group kya hai Aur kaise banaye? fir sign up ke samay "Not on facebook' par click kare. signin ke liye aapko apna phone number ka use karna hoga. Facebook messanger ka jyadatar log message karne ke liye karte hai. lekin aap isase text sms ke alawa free voice or video call bhi kar sakte hai. Chatting option par jaker video/ voice phone call icon par click kare..
Iske liye aapke friend (jisase aap voice or video call karna chahte hai) ke mobile me bhi messanger app instaal hona chahiye. 3. Share your current location. Fb messanger app se aap apni location bhi doston se share kar sakte hai. iske liye friend conversation wale option par jaker 3 dot icon (more icon) par click kijiye. fir location par click karke apna apna location (place) ko send kar sakte hai. Agar aap bar bar notification se pareshan hai to aap fb messanger me aap kisi conversation notification ko silence kar sakte hai. iske liye dropdown ke option me notification par click kare. fir aap jitne time ke liye notification ko band (mute) karna chahte hai. usko select kijiye. Jaise- 15 min, 1 hour, 8 hours, 24 hour ya hamesha ke liye notification off kar sakte hai. Aap chahen to fb messanger me kisi conversation me color ko change kar sakte hai. contact par click kare. fir 'change color' ko choose kare. Ho sakta hai ki kabhi aapko koi stranger (jo aapke friend list me nhi hai) message send kare. aise message ko check karne vke liye..setting> people > message request ...par jaye. Aap facebook messanger app par kisi friend ke sath chess bhi khel sakte hai. iske liye apne chat me @fbchess type kare. aur fir game start ho jayega. Profile photo upload ya photo sharing aap directly messanger se kar sakte hai. iske liye aap camera icon par click kare. Agar aap apne kisi friend ko uske nick name se yaad rakhana chahte hai to uske liye unke name par click kare, wehan aapko add nickname ka option dikhega. * Facebook se video kaise download kare? Facebook Messenger Tricks in Hindi. Abhi aapne kuchh top facebook messanger Tips and tricks ke bare me jana. agar aapko koi doubts ho ya koi jankari chahiye to niche comment karke puchh sakte hai.